Brittany Cianelli, a south Florida native, studied at the University of Florida in Gainesville where she earned a Bachelor of Science in Psychology, with an emphasis on Human Behavior. After graduating from University of Florida, Brittany attended The University of Kentucky in Lexington where she earned a Master of Science in Physician Assistant Studies. She soon began her career by working at one of Atlanta’s highest volume emergency rooms and although she enjoyed the fast paced atmosphere of acute care, she never felt at “home”. After many years away from family and a few harsh winters, Brittany made the leap to move back to sunny Fort Lauderdale. Once settling back, Brittany worked in the tri-county areas as an urgent care provider but realized she prefers forging and fostering lasting relationships with her patients, getting to know them and providing long term care. 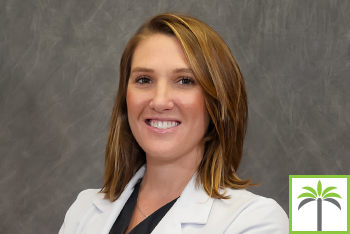 Thus, Brittany joined Associates MD where her main focus is to provide the absolute best care for each and every patient in a timely manner while focusing on disease prevention, management and health promotion. She is committed to offering her patients a comfortable and pleasant experience for each and every visit. Brittany is a Board Certified Physician Assistant and accredited by The National Commission on Certification of Physician Assistants. In her free time, Brittany enjoys traveling, volunteering, spending time with family and friends, being outdoors with her beloved Labrador, Timmy, and remaining active in the south Florida community.